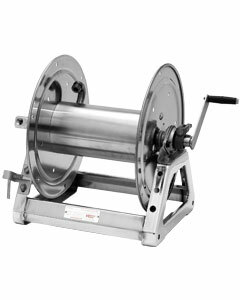 For a clean and sanitary environment in the sensitive food and beverage industry, you need equipment that is dependable and durable. 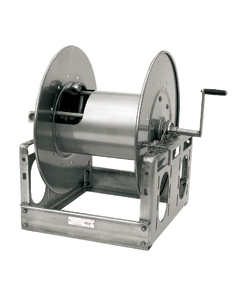 Our reels are built to your specifications with stainless steel construction and internals available to handle delicate food and beverage processing and keep your operation running clean. 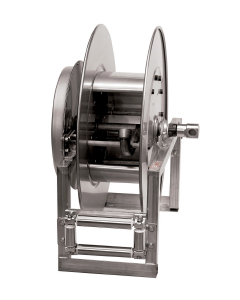 Hannay quality construction ensures all hose and cable reels withstand everyday use and offer years of unsurpassed performance with minimal maintenance. 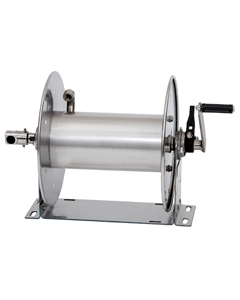 Stainless steel spring rewind reels to handle 1/4" through 1/2" I.D. hose. 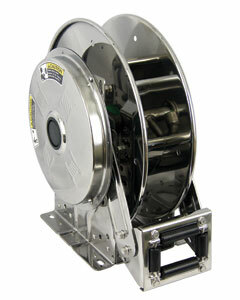 Stainless steel manual rewind reels to handle single 3/8" through 5/8" I.D. hose.